Yep, that sounds totally appropriate. 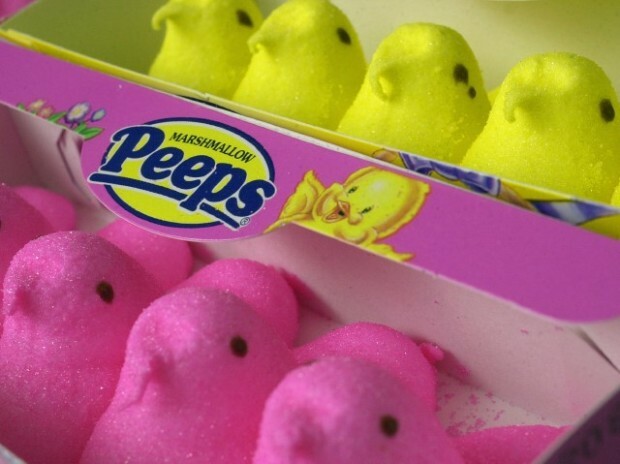 Brace yourself against the impending candy coma of spring, 'cause National Harbor's Peeps & Co. store is hosting an Easter Sunday art show... and yep, all the art will be made out of Peeps: the pillowy glops of sugar-slathered marshmallows crafted to look like hot-pink limbless bunnies or pointy-beaked chicks. The show will be outdoors Sunday, April 4 from noon to 6 p.m. -- we just hope it's not too sunny. Seeing rows of bright yellow chicks ending up skeletonized by aggressive melting would just taint the magic of it all. The D.C. area is especially worthy to receive the dual honors of the peeps store itself (which opened in December) and its accompanying art show. After all, the Washington Post's annual Peeps Diorama Contest is pretty much a sport 'round these parts... at least for people who enjoy crafting dioramas, anyway. The Peeps Store at National Harbor welcomes the Easter holiday. We spoke to shoppers.